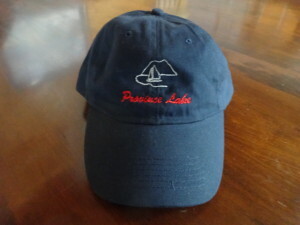 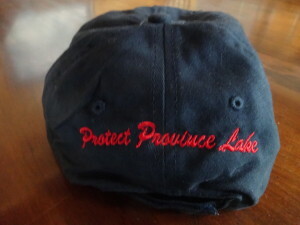 You can order your official Province Lake Association apparel for you and your family from this section of the website. 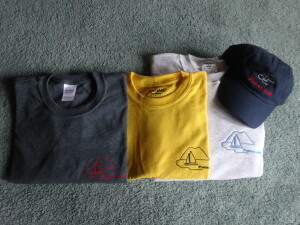 Pictures below show a general view of what the products are like. 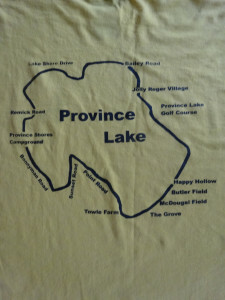 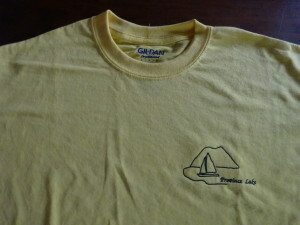 Note that all t-shirts, sweat shirts and long sleeve shirts have the embroidered logo on the front and a silkscreen of the lake with major living areas on the back. 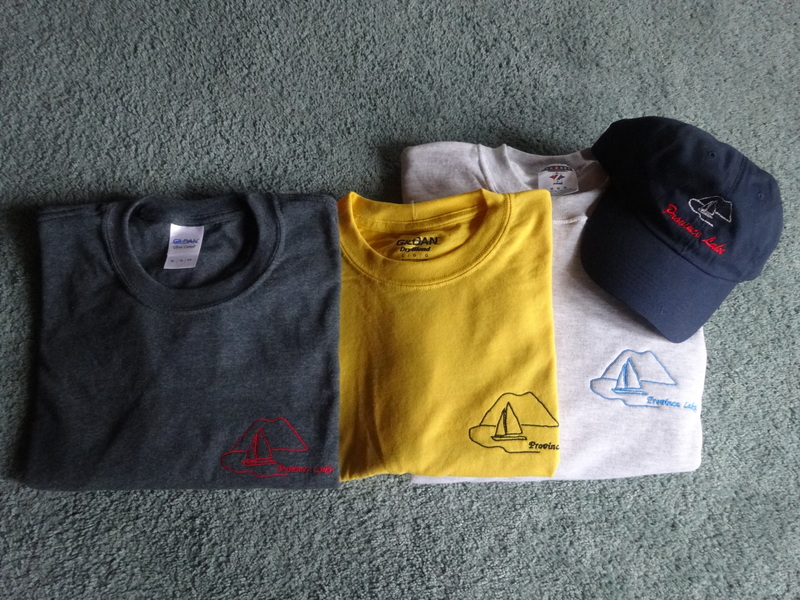 Color choices can be found on the order form. 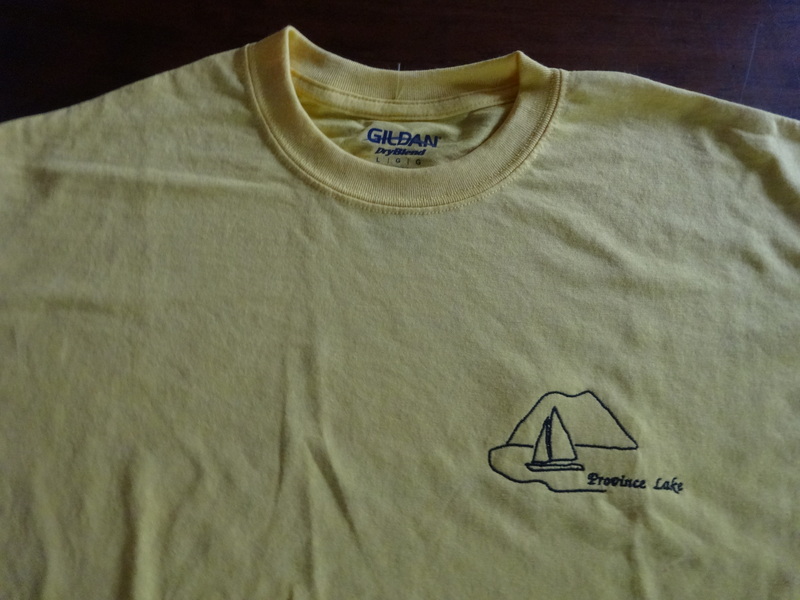 Currently, you need to print out the order form below and send a check to the PLA PO Box. 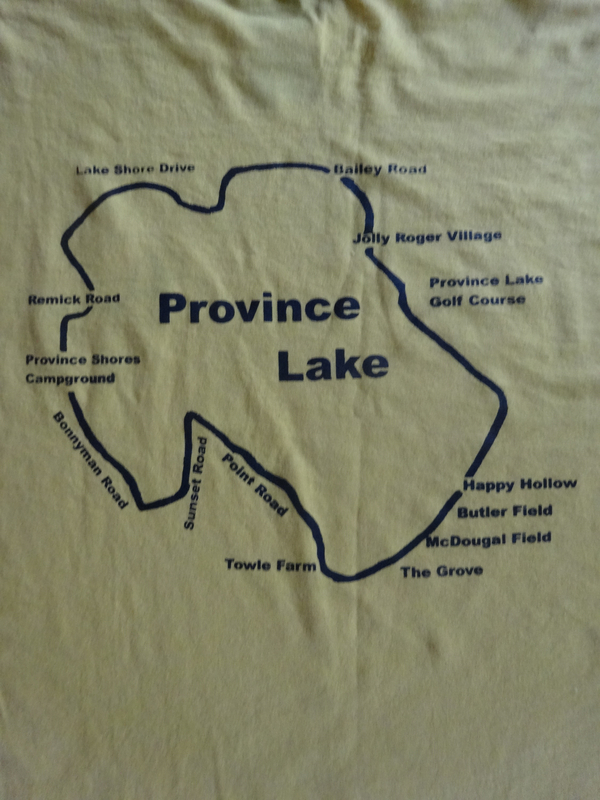 To help with the ordering process, we are also investigating the possibilities of making this more electronic.